Murali alias Ashok Satya Reddy who was wanted by police is the divisional commander of naxal North Gadchiroli-Gondia-Balaghat and Rajnandgaon division. 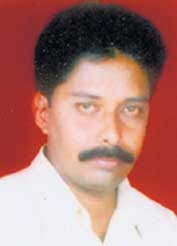 He was operating in Salekasa and Darekasa terrain in Maharashtra’s Gondia district along with Naresh Bansod. He was allegedly heading a team of the four along with Arun Ferriera who is said to be the chief of communication and propaganda of the ultra Left wing. 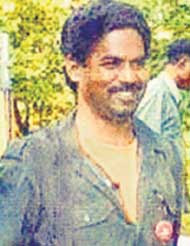 The fourth man is identified as Dhanendra Bhurle, as working along with Murli. Nagpur police have booked all the four under 10, 13 and 20 of the Unlawful Activities prevention Act, 1969 and 353 and 34 of the Indian Penal Code.